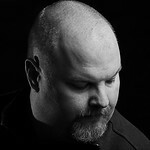 Stasis Photography is the personal portfolio of Todd McClintic. Todd has been creating photos in one capacity or another since the early 90's. Todd enjoys photographing people in the beautiful mountains of Colorado where he lives with his wife Celeste and son Thomas. When not creating stunning images with his camera, he enjoys working on cars and hiking in the mountains around his home in Manitou Springs.